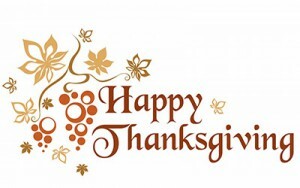 Thanksgiving is the time to be thankful, a time to remember and to embrace those who enrich our lives. We are thankful for a lot of things, but we are most thankful for You! We want to thank our Team and all of those who contribute to their hearts, actions and words. Due to your input, we all can grow and improve together. Thanksgiving is also not only a day; it is a blessing of thankfulness that we can carry with us at all times. An appreciation to our friends and family, for all that we have and for all we can share with others. We give thanks with a grateful heart. Thank you for being you and for being a part of our team! Happy wishes to you all! We are very happy to have you as a part of our team. We appreciate the hard work you are doing to keep our team strong while you go hand in hand with our team of dispatchers who are working every day to get better loads – more pay and less weight. Through the years, we have seen a steady growth of Owner Operator revenues, less down time – more miles, and over all better satisfaction of all members of our team. We would like to encourage you to invite your friends to join the Status team. For every friend that leases on with us, there will be a $500 referral bonus. Our strength is in numbers. The bigger the fleet, the bigger the impact we have on the market, which gives us more leverage on negotiating detention pay and resolving any issues in our favor. Thank you for your lasting loyalty and cooperation. We have finally moved into our new building and even though there still are a few little things to be completed we are very excited to be in the new location. We have attached a picture to this email for you to see. 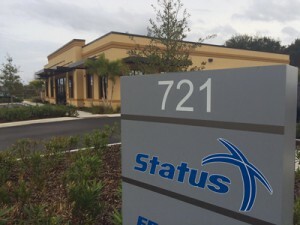 It is worthy of being called Status Headquarters now! We would like for all of us to enjoy it together. Therefore June 15th through August 31st we will be running an Open Door Summer. We invite you to stop by the office for a cup of coffee, dessert or lunch. It’s on us! We’d like to express our appreciation for being a part of our team and hear what you like about us as we feel it is important to share the good, so we know what to keep on doing and what direction to move toward. Even more so we would like to know where we could improve. You are the driving force of our company and we firmly believe that your input is essential for growth and advancement. Only with a clear understanding of what our Owner Operators want we can create an Owner Operator oriented company that serves your needs. We hope to see you soon and we will do our best to arrange your loads to get you here quickly and smoothly. Just let your dispatcher know when you would like to stop by and they will get you here. Of course, walk-ins are welcome although we would greatly appreciate an earlier notice that we could devote our full attention to you when you’re here. We are waiting to hear back from you and as always – if you have any questions please give us a call! 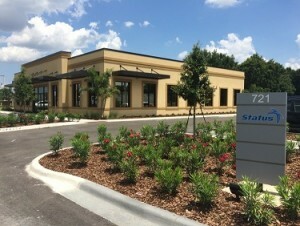 We are moving our Florida office to a new location. 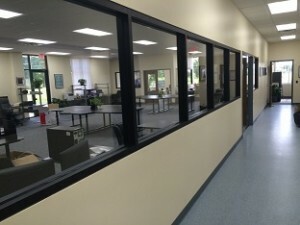 The new location is just a couple of miles away from our current office, convenient to access with a tractor-trailer and is located close to major highways making it easily accessible no matter which direction you are coming from. We have already started moving and are planning to be moved in by the end of May. We are ready to receive mail to the new location starting next week 5/25/2015. And as our mailing address has changed, we mailed out new UPS forms to you. Please start using the new labels 5/25/2015. We will be calling you shortly to make sure you have received the new UPS mailing labels and to go over the details.Thank you for being a part of our team and if you should have any questions, please feel free to give us a call! Owner Operator can choose a region of operation. Owner Operator can decline a load offering if he or she does not have sufficient hours to legally complete a load. Owner Operator can decline a load if a load does not meet weight or commodity criteria previously discussed with a Dispatcher. Owner Operator can decline a load if load pays less than that regions average pay per mile previously discussed with a Dispatcher. Owner Operator can choose to take a day or more off if he or she is feeling tired or sick. Owner Operator can choose when to take time off and when to get back on the road. Owner Operator can decline load offerings if those loads include any manual labor. Owner Operator cannot cancel a load after the load was accepted by Owner Operator. Owner Operator cannot ask for more money per mile after the load has been accepted. Owner Operator must accept the load if the load meets criteria previously discussed with the dispatcher. LS FREIGHT, a division of Status Transportation, is currently looking for Men and Women to work in the Freight Brokerage industry. We value our company on being honest, ethical and a hardworking group. If you are tired of being just another freight broker agent and would like to work with a company that will give you their undivided attention that will help you to be successful in the trucking industry, you have found your company. We do not offer work-from-home positions at this time. Please give us a call @ (407) 574-6128 to set up an interview or email your resume.